A short climb for a rewarding view. Bukit Kledang is only 800 meters tall, but what is even better is that you do not need to reach the summit to enjoy the view. In fact, the summit has got little to no view at it is blocked by trees. 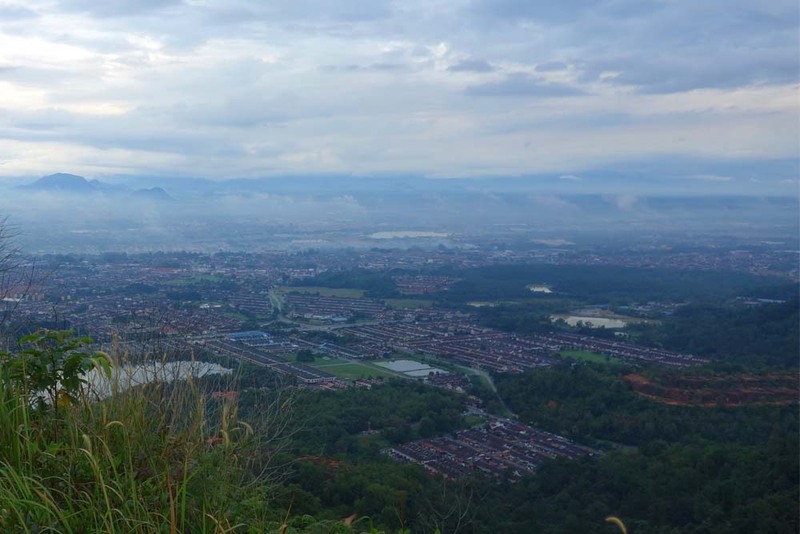 A short climb to mid-hill around 250 meters high, you will get an unobstructed view of Ipoh which is the best spot to take pictures. Engage in more than one activity. Bukit Kledang offers a wide range of activities for you to do like running, biking, walking or jungle trekking. There are multiple trails with varying difficulties. Depending on your level of fitness, you will find something suitable for you. You can get a night view of Ipoh. Catch a glimpse of the city’s lights and enjoy the view of Ipoh at night. You can do all these because night trekking on Bukit Kledang can be easy. Bring a torch light and stay on the main road trail. The trail is straight forward and easy to walk on at night. Go out and enjoy the nature. See our hiking destination guide – Share My Hikes and plan a hiking trip to Bukit Kledang today!